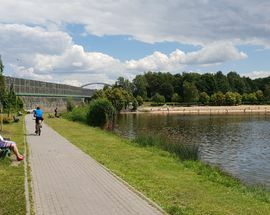 Valley of Three Ponds. 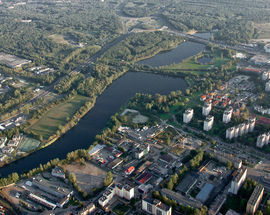 Photo: Katowice City Council. 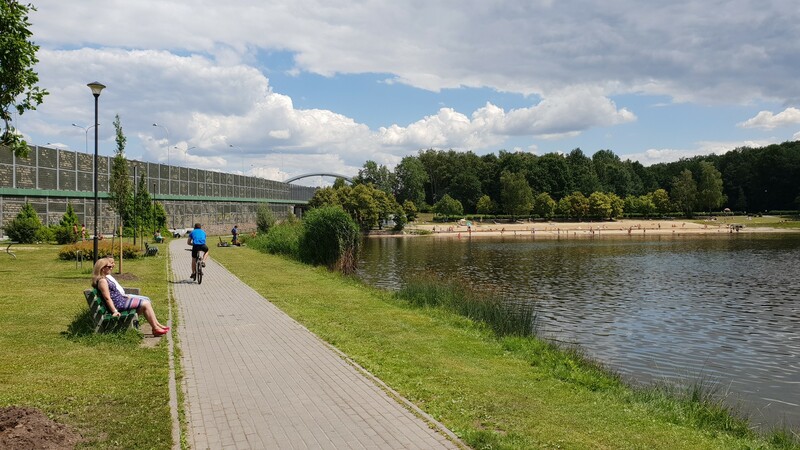 If you've ever been to that other Polish city beginning with a 'K,' you may have noticed that the city's riverfront is a popular place for locals to go hang out, relax, cycle, skate and walk. 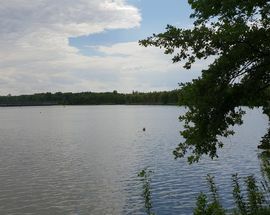 In Kato things are no different. 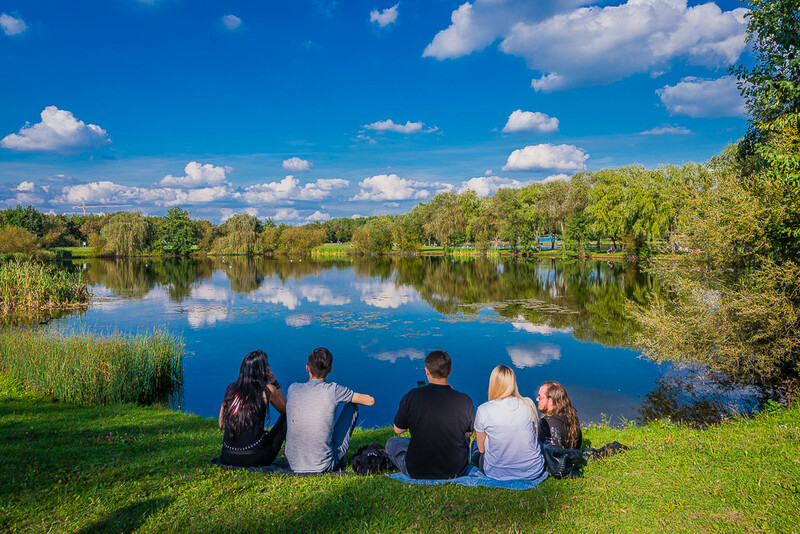 Although the river in the centre is nothing to boast about, slightly south you will find the city's most popular recreation area - Valley of Three Ponds. 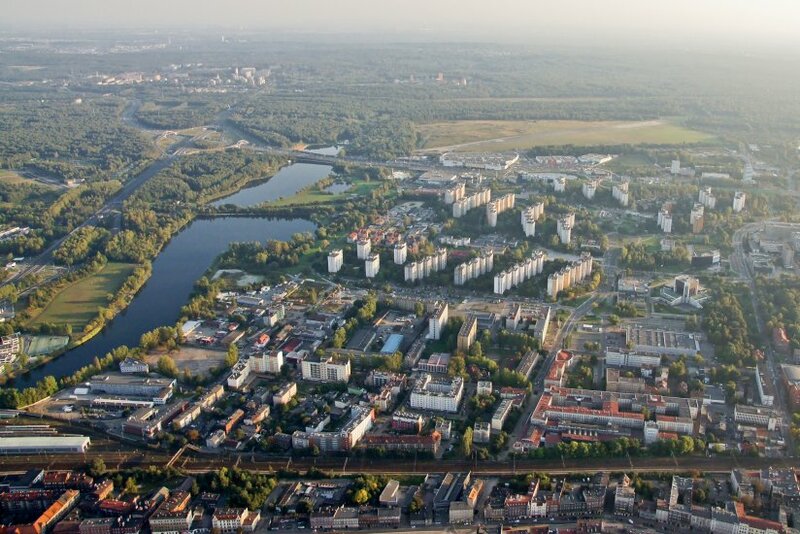 First established as a 125 hectare leisure space in the 1960s before being absorbed into the 420 hectare Katowice Forest Park which today surrounds the small Muchowiec airfield south of the centre. 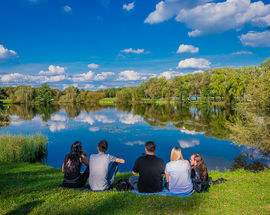 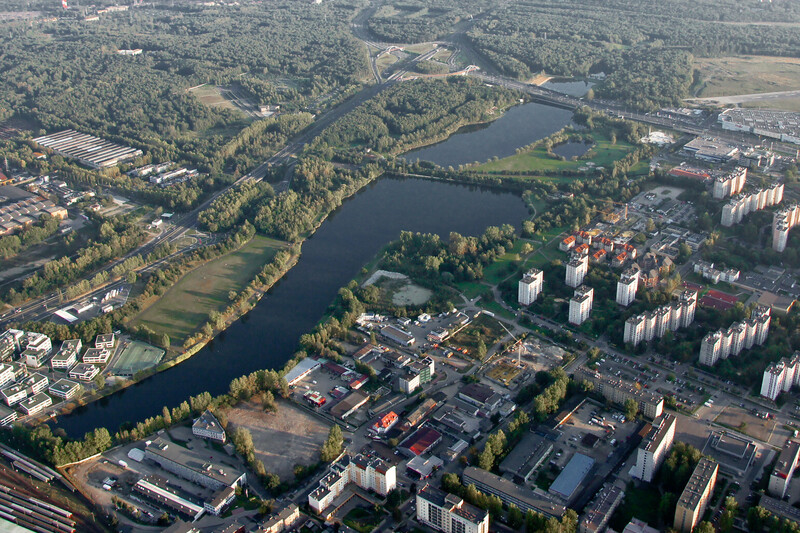 Though ‘Valley of Three Ponds’ is generally applied to all of the woodless areas surrounding ul. 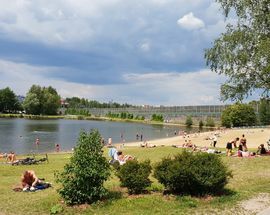 Trzech Stawów and Forest Park’s 11 (not 3) ponds, the name technically refers to the smaller, more cultivated area located just beyond. 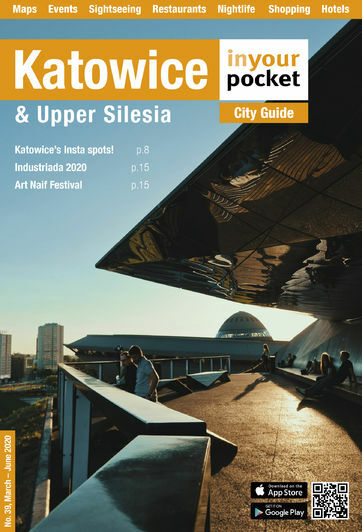 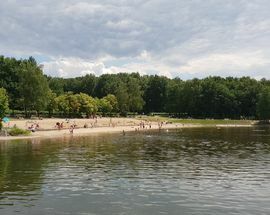 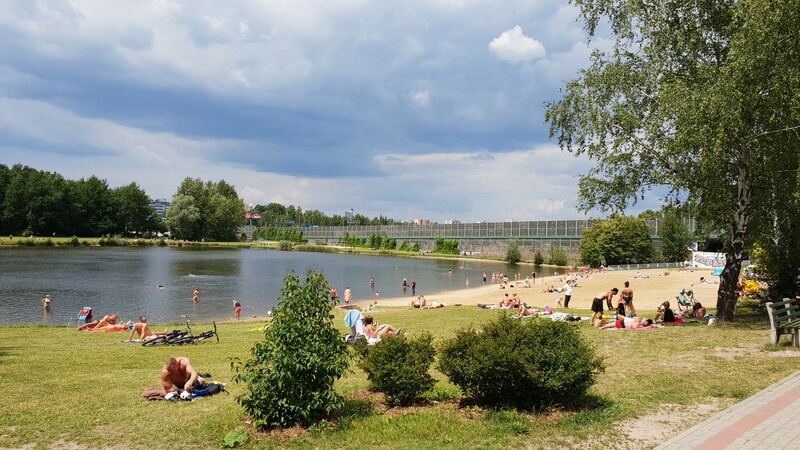 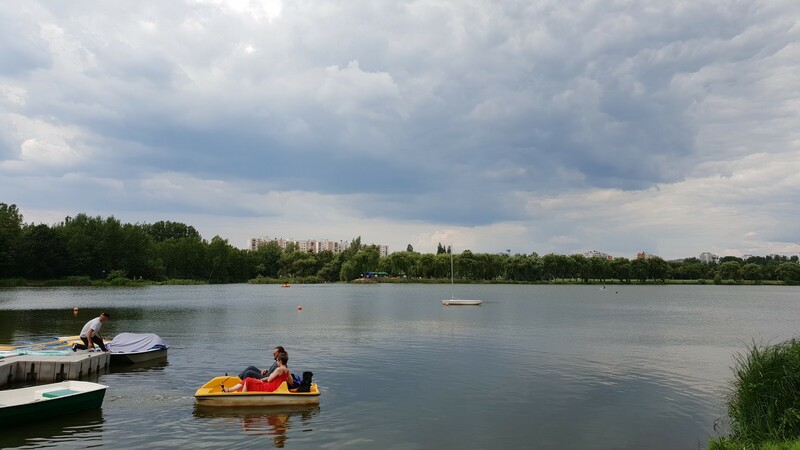 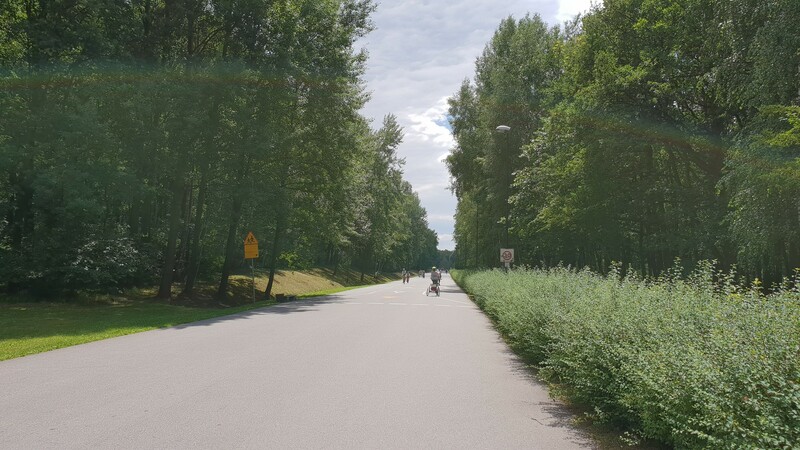 In this vicinity you’ll find a seasonal campground, tennis courts and a fine restaurant (Pan de Rossa) with inspiring views overlooking the water and the distant apartment blocks of downtown Katowice. 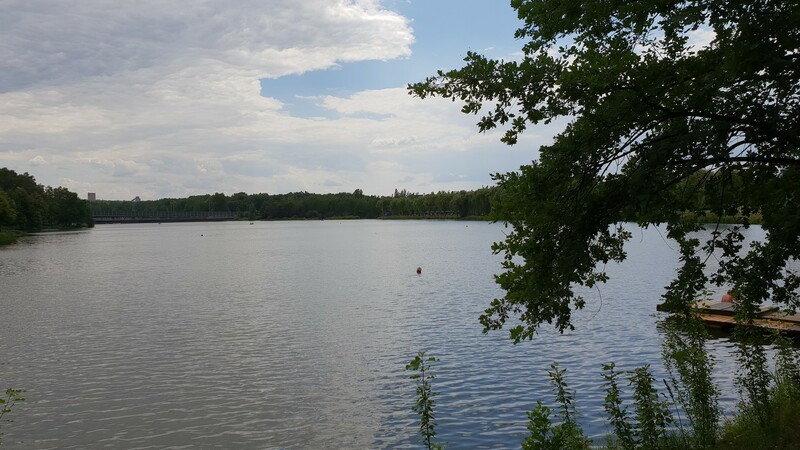 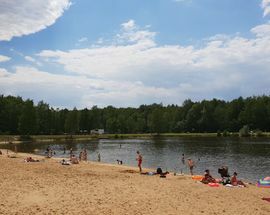 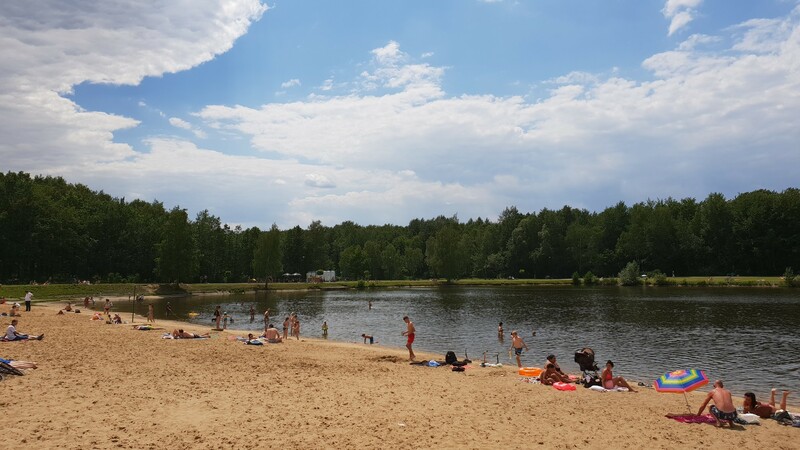 Of the ponds in the immediate vicinity, the most popular has a beach for bathing, another is reserved for water sports, and several are available for fishing (though you need a permit and the hassle of trying to get one is not worth explaining or experiencing). 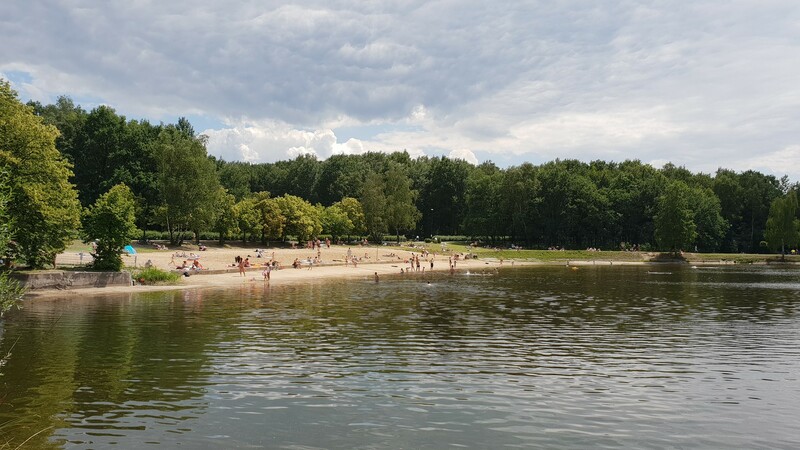 The entire park area is also full of marked trails, making it a popular place for running, cycling, skating, hiking, sledding in winter, picnicking and generally defeating the Silesian Blues (as we call it). 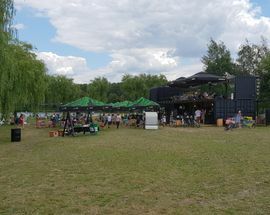 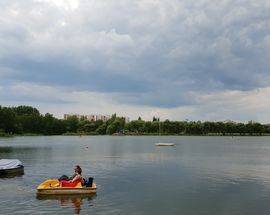 In the summer months, it's also a great place for kids to visit as there is an outdoor water park; as for the adults, there's a seasonal bar on the shore of one of the ponds. 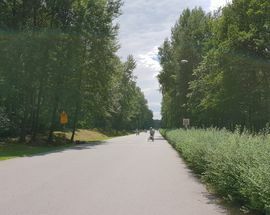 Most easily accessed by bicycle (see City by Bike from Apr-Dec) or instead take buses 674 or 910 from the centre, getting off at the Trzy Stawy shopping mall when you see the Real hypermarket. 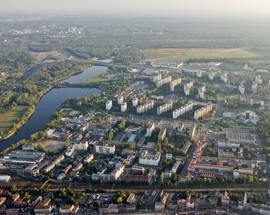 It's a short walk east from there. 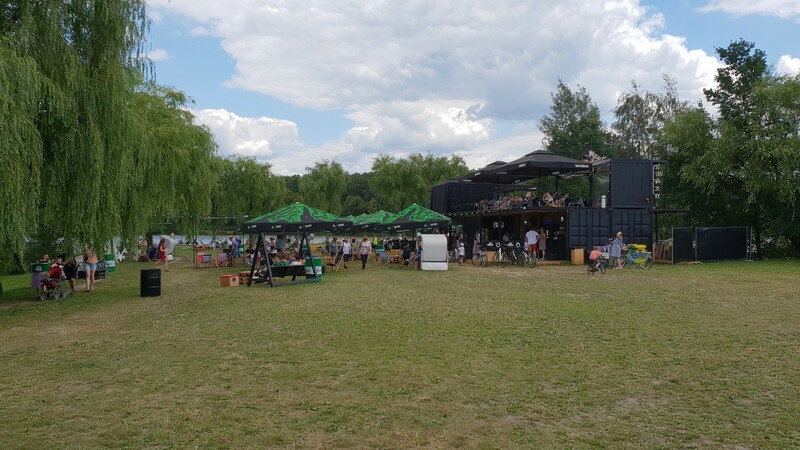 I love this venue because of OFF festival!